It’s 8:30pm (my midnight) and I’m running up and down the stairs in my pajamas trying to get those last 500 steps to reach my daily FitBit goal. (And, don’t judge, but I’m probably waving my Fitbit hand trying to get a few extra too … shhh!) All this last minute work is to stay at the top of my FitBit friends network because my sister and Lesley have been giving me a “run” for my money lately! They both ask, “Aren’t you injured? How are you getting so many steps?” Well, obviously I’m walking like a crazy person!! Right now I bet I could hang with the best mall walkers. And, I mean THE BEST of them. If you see me with a fanny pack and Reeboks you have my permission to start an intervention. In fact, please do. So, What the heck is it? 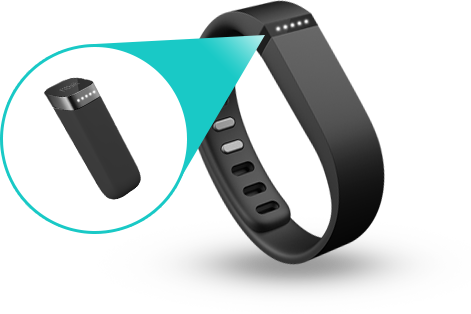 You can wear the FitBit clip or bracelet 24 hours a day to track your steps and mileage – even your sleep patterns too! There’s also an option to log your food and calories for an overall wellness tool. How to set goals? You can set personal wellness goals varying by number of steps, miles or active minutes. When you reach your daily goal the device will give you a congratulatory buzz – heck yeah, Get buzzed! How often do you need to charge it? The small tracker inside the bracelet or clip needs to be charged about every 4-5 days (is what they say). In my case, I sync that little bugger so frequently it’s constantly “searching for device.” Therefore, I end up needing to charge about every 48 hours – which is easy to do with a USB outlet. 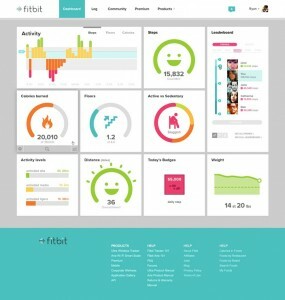 Fitbit sends you a weekly report of your stats. For example, I’ve covered over 750 miles this year so far! How cool is that?! This baby is indestructible – well, almost! After wearing it in the chlorinated pool, shower and pretty much not taking it off for 5 months it’s still in tact! I am impressed. One downer – The device does not pick up cycling or spinning 🙁 After a few times of getting wicked pissed that my workout didn’t “count” I figured out that I could put it on my shoe to reel in some steps on the bike. My biggest step count days? VA Beach Marathon and dancing the night away at Dustin & Lindsay’s wedding! C’mon, All the cool kids have FitBit – join up, get active!